She was born June 8, 1932 in Harrisburg and was the daughter of the late Bernard and Marie Bailey Yetter. 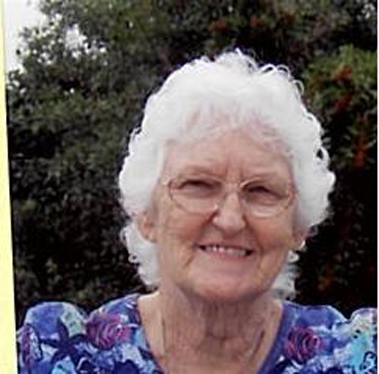 She was retired as a businesswoman; was an active member of Sunset Church serving the Lord over the past 50 years in various areas of the church; and was an active member of the Pilot Club for 20-plus years. During her life she touched the hearts of everyone who met her. She enjoyed sharing her faith with everyone she met and she was optimistic and always looking for the good in people and not their flaws. In addition to her parents, she was preceded in death by brothers Charles and Lawrence Yetter. She is survived by her loving husband of 12 years Howard Leonhard. Marie and Howard authored their own love story. They met at their 50th class reunion and fell in love and got married in three months. And she is survived by their children Larry (Connie) Barb, Diane (Roy) Warhurst and Mark (Laura) Barb; stepchildren Frances Leonhard, Karen (Charles) May, Barbara Leonhard, Howard (Marcia) Leonhard Jr., and James (Sue Ellen) Leonhard; eight grandchildren and stepgrandchildren; and four great-grandchildren. Services were held October 7 at Sunset Presbyterian Church, 3550 Davie Boulevard, Ft. Lauderdale, FL 33312 and was officiated by the Reverend Noe Juarez. A Memorial service will be held at 11 a.m. on Saturday, November 17 at Highspire First Church of God, 115 Second Street, Highspire, PA 17034, with the Reverend Samuel Cunningham officiating. In lieu of flowers, the family asks that donations be made in memory of Marie to one of the churches listed above.